*A note: This is my first stab at fiction in many years – I wrote it a year ago, hours before it was due and forgot about it. I was handed the postcard – above, in a writing class and felt slightly repulsed by the male character. I suspect it was his fingernails. He took over as the narrator and when he was done, I felt entirely differently about him. I see it set in the 1920s roughly. It’s a WIP, naturally. Friday nights with Natalia were never predictable. It was safe to say Mattie never knew what would transpire. Beyond the arrangements for the restaurant they would eat out at – Natalia preferred to be surprised, it was a man’s duty during courtship to entertain the lady this way, and the bar at which they would spend the last hours of the evening, Mattie couldn’t predict her emotions. The weekly date with Natalia was not something he could prepare for, not the way he analysed the company accounts for missing payments from the slimy errant tenants or the way he read the journals to give the bossman ‘all the facts’ for the Wednesday board meetings. 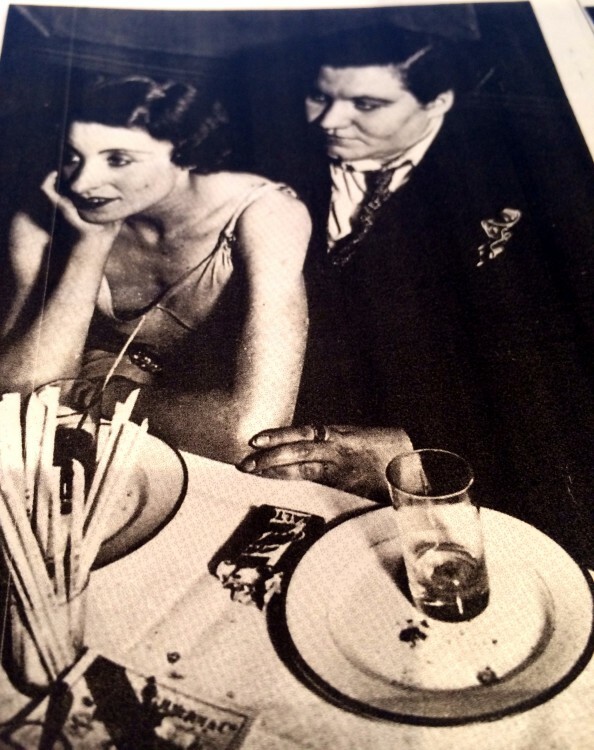 Sometimes when Natalia looked over at the singers like Mo Samuels or Martha Brown, caught up in the rhythmic stories they spun, her face, pale and delicate perched on hands Mattie longed to have entwined in his, he felt so alone. She could never know the stirrings like lemon squeezed on cuts, he kept to himself for months. Of this he was certain. Her eyes, he would glance at them quickly when he lifted a glass to his lips, were lost in the sorrow or the cheek of the performances playing out before them. Her head would bob to the beat, the scent of violets from her hair pomade wafted over and mingled with the smoke in the air. It was a cruel smell, one that, strangely, reminded him of his aunt Sybil who his mother said left the house for a night on the town with shameless red lips while uncle Ed, wheelchair bound after the war, looked at the same crossword until she returned. At 28, older than the girls his mother had recommended as suitable matches, Natalia was alluring. She had a stoic way about her; she had known suffering but she would not speak to him about her life before she arrived in New York. Her guttural rolling of the letter ‘r’ made her sound like an exotic beast, fierce and covetable at the same time. A circus act. Not one you pitied, but one you played in your mind long, long after your head hit the pillow and your dreams took you away. Sometimes Natalia winked at Mattie and smiled, the reckless little smile that frightened him with its promise, and he knew the evening was not over. They would drink dark brews in a smokey underground bar, the bars always changed, as did her moods. At times like this, she would come back from the bathroom, her lips darkened and pouting and perch on his lap. His eyes would trace the outline of her long neck and the curve of her slight, girlish breasts. There could be no heaven or hell in those jazz-fuelled evenings. Mattie recounted them in exact detail for each of the nights that passed until he saw Natalia again on Friday. When Natalia kept her face closed, her head still swaying from the dinner performance she was satisfied that it was a good night out and she wanted to go home, and there would be no underground bar, no jazz and no reckless suggestions. When their nights drew to a close and Mattie led Natalia out into the crisp evenings and opened the door of the cab, he always did so with his arm around her thin shoulders, his large ringed fingers guiding her wool coat with proprietary. He self consciously sucked his belly in, as he always did at this precise moment in the evening and promised to run with the post-room lads but could never get up at crack of goddamn dawn. And so, as his daily whiskey consumption increased, sitting alone by the fireplace thinking about Friday’s date with Natalia, so did his waist. She never saw him on any other day. It was a prim game of ‘dating for the modern lady’ or whatever drivel it was that the girls read these days. Deep inside Mattie knew it had a lot more to do with Natalia’s orthodox upbringing and that she went to the church built by the Russians every Sunday to light a candle for the grandmother they left behind. His mother, proudly Episcopalian and a devout member of the Manhattan WASP sect, widened her eyes at the knowledge, even wider than when she first heard Natalia greet her in her melodic Eastern European lilt, rolling the r on the very. “It is very good to meet you Mrs Shaw,” she said after a tense, silent ride in the cab to the Shaw home. A very awkward moment filed in Mattie’s memory bank, possibly for posterity. Tonight, Mattie was sweating under his heavy tweed jacket. He caught sight of his hands and wished he had manicured his nails. They were a little too long. Shame shuddered through him, and plummeted to his gut, along with the feelings he had been suppressing all week. As a wave of nausea washed over him, he tilted his head backwards and breathed in the cold air. Two breaths later he followed Natalia into the cab. Mattie Shaw at 32 years old was an awkward, overweight introvert. He was also faced with the biggest challenge he had ever set himself. The weight of its burden burned a hole in the shape of a 6 inch square box lined in velvet, in his left hand jacket pocket. It was tonight, or never. Love it! You should do more of this. Ah, thanks Ana. I’ve been lost in the world of writing service pieces for pay.